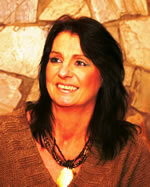 Melanie Davies (nee Bowen) was adopted as a baby and grew up in Port Talbot. Since her accident in 1980, she has been involved in a variety of Charitable endeavours both in the UK and US and, in 2000, set up her own charitable trust; ‘TREAT’*. Its aim is to build a state of the Art rehabilitation and therapy centre to meet the needs of the people of South West Wales. She married Retired Orthopaedic Surgeon Mike Davies, in 2004, three years after them being reunited by Mels’s charity, following his first wife’s tragic death from a stroke. Since their marriage, Mel and Mike have been in the news more than once. In 2005 they were subjects in an ITV documentary ‘Unlikely Lovers’ and as a result of their extraordinary romance becoming public, they have received a great deal of coverage in the national press, including The Sun, Grazia and Best magazines. As a first-time author, I needed guidance in finding an agent from those established in the business. Although my initial information came from fiction writers, it was pointed out that the Andrew Lownie Agency had a particular expertise and reputation in the biographical and non-fiction field. 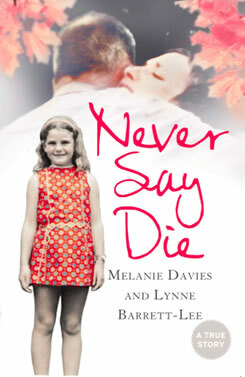 This was confirmed when, despite the atmosphere of recession and downturn in the book-market, Andrew was able to place our book, 'Never Say Die', with the major publisher, Harper Collins, within a matter of weeks.